Sonatel’s revenues grew between 2013 and 2014 and then started to decline (see Figure 1). There are several factors that are likely explanations for Sonatel’s decline in revenues. 1) 3G coverage remains one of the lowest in the region and operators are not able to grow data revenues to compensate for declining SMS and voice revenues. 2) 3G services are only available in major cities, like Niamey, Dosso and Filingue. 3) 4G has not yet been rolled out, exacerbating the inability to generate data revenues. 4) Airtel was awarded a 3G license in 2014, but only began rollout in 2015, delaying income from mobile broadband revenues (source). As the business model shifts from voice and SMS to data, low 3G coverage means that mobile operators in Niger are unable to take advantage of growing demand for data to grow revenues. Also, operators are unable to take advantage of the significant operating cost savings that are available in a 4G network. 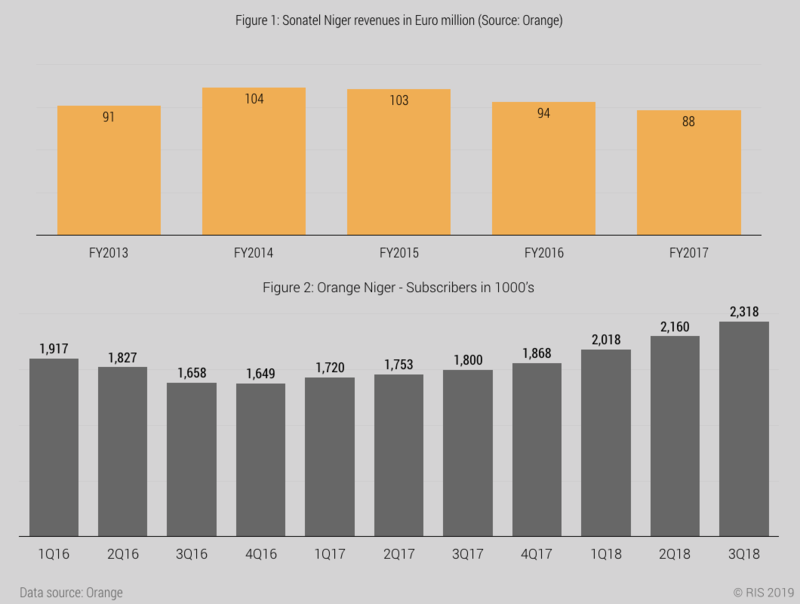 Mobile operators in Niger have the worst of all possible worlds: higher operating expenditure, declining voice and SMS revenues, slow data growth. The delayed release of 3G and 4G spectrum and the lack of network investment in 4G infrastructure is the likely cause for declining revenues in Niger.